The Silver Arrow caused a sensation when it was unveiled at the New York Auto show in January 1933. It was the most daring and radical automobile of its day, giving an unnerving glimpse into the future. The $10,000.00 price tag was humbling as well. The top speed of 115 mph was unbelievable for a car of such size and stature. Only five were built. This car is one of three that survived. Previously part of the Harrah's Auto Collection from the early 1960s until 1987. It was restored by the world famous Harrah's facility. Full Harrah's restoration records. This one sold for $2.2 million in 2012. Prior to this one, the only other sold was back in 1973. Rarely if ever does a Silver Arrow come up for sale. In the late 1920s and early 1930s Pierce-Arrow shook up its offerings in an attempt to recapture market share that had been slowly ebbing during the Great Depression. Of no help was the fact that Pierce was strictly a luxury manufacturer and thus had no cushion of revenue from mass-produced cars. The Silver Arrow concept model was introduced at the New York Auto Show in January 1933; with a lofty price tag of $10,000, a mere five examples were produced, of which only three exist today. The brass at Pierce managed to effectively shock the entire world — including most of their employees, who were kept in the dark until the unveiling — by producing the Silver Arrow under a shroud of secrecy at the Studebaker plant. The design for the Silver Arrow was penned by classic era designer Phillip Wright. He cut his teeth at the esteemed Walter M. Murphy Company of Pasadena, Calif. Wright-designed bodies ended up on some notable Cords, and Cord President Roy Faulkner took note. When Faulkner left Cord to work at Pierce-Arrow, he asked Wright to join the design team. Interestingly, Wright’s original concept for the Silver Arrow was done for Harley Earl’s Cars of the Future Contest. 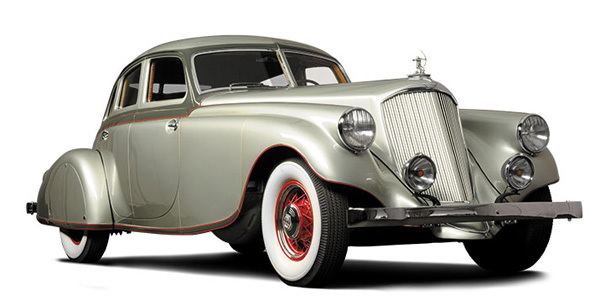 The Art & Color Section of GM did not embrace the design, so instead of ending up atop a Cadillac V16, the now-legendary design came with Wright to Pierce-Arrow and changed the course of automobile history.